If you are an avid cross-country skier or just a person who wants to give it a try, Sun Valley, Idaho is the place to be. An outdoor, recreational community center that organizes yurt trips & other backcounty adventures during both summer & winter months. World-renowned skiing, golfing, fun for kids, shopping & fine dining are just a few things that make Sun Valley Resort a top vacation destination. Exploring wild landscapes with guests since 1982. Our purpose is to sustain the human spirit through adventure and exploration. Cross country skiing is a great, healthy, challenging and fulfilling activity. The Sun Valley Resort has a Nordic Center. The Rails to Trails System between Bellevue and Ketchum has 30 km. of trails. The wilderness area north of Sun Valley provides a multitude of opportunities for backcountry skiing. 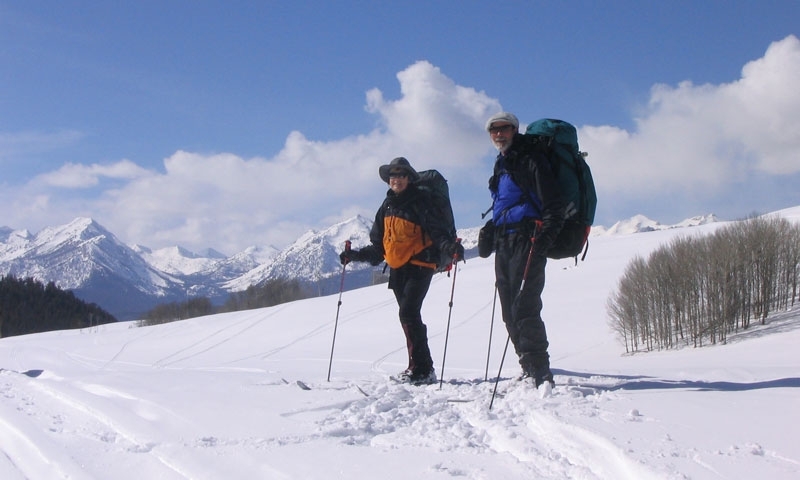 Cross country skiing is a great, healthy, and fulfilling way to explore and enjoy the beautiful winter wonderland of the Sun Valley area. Gliding along on groomed trails or exploring the backcountry on skis – both are available in the area. 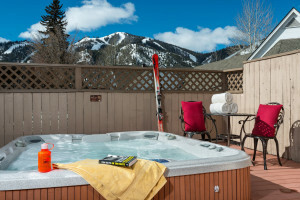 The Sun Valley Resort has a Nordic Center, which is located within walking distance of the Sun Valley Lodge. At the Sun Valley Nordic Center, you will find 41 km. of cross-country trails – groomed and marked according to difficulty. There are even 4 km. of cross-country trails here that are dog friendly, so don't forget your canine companion. If you want to get off the beaten path, check out the 100 km of groomed trail in the Sawtooth National Recreation Area maintained by the Blaine County Recreation District. On this system, you will find nearly 30 km of groomed trail perfect for you and your pet. The Rails to Trails System between Bellevue and Ketchum has 30 km. of trails and there are additional miscellaneous trail systems branching out from the more established routes. Several local outfitters and guides specialize in cross-country skiing. If you need equipment, you can also find rental equipment available at local sporting shops. The US Cross Country Ski Team's schedule of events and races.